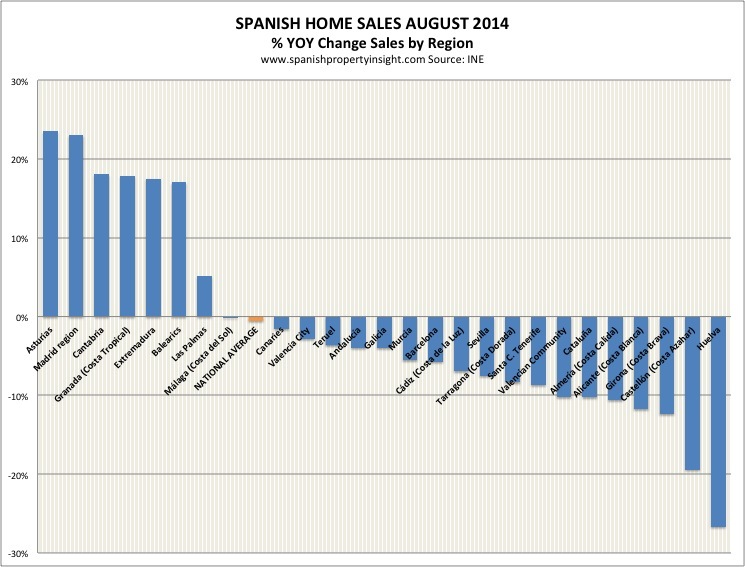 Spanish Housing Market Recovery Over Before It Started? The number of Spanish home sales inscribed in the property register in August fell by 1% compared to the same time last year, according to the latest data from the National Institute of Statistics (INE). It was also the lowest level of sales in August since the crisis began, and 18 percent down on July. The red line in the chart above shows how recorded sales dipped in August after seveal months on the up. The chart also illustrates how sales usually dip in August, but never to such a low. So on balance, a month of ugly figures. Prior to August, sales had risen for five consecutive months giving rise to talk of a recovery in the Spanish press, not to mention here. 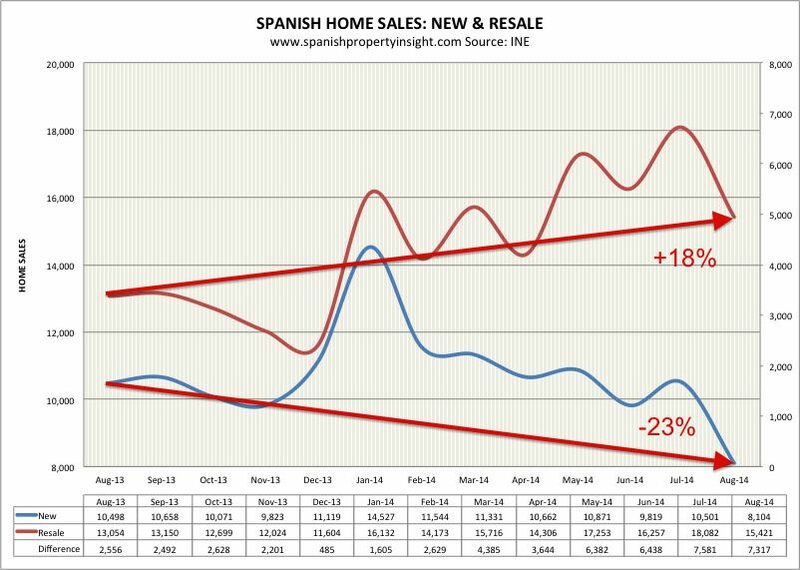 “After five consecutive months of annualised sales increases it’s clear the Spanish property market is starting to recover in volume terms, as more buyers enter the market,” I wrote back in September, perhaps a tad prematurely in ‘Home Sales Reinforce Recovery Story’. However, the August fall in the number of sales inscribed in the property register does not come as any great surprise. Data from the General Council of Notaries, which comes out earlier, already showed a sales slump in July, as reported here last month in ‘Home Sales And Prices Tank in July‘. The INE’s figures are more or less the same numbers, just with a time delay, which helps explains the regular farce of conflicting headlines when it comes to the Spanish property market. As pointed out in the article discussing the Notaries’ data, the main driver of falling transactions appears to be the collapse in new home sales, perhaps because of the dwindling stock of new homes that people actually want to buy. New sales inscribed in August were down 23 percent compared to last year, whilst resales were up 18 percent (though down 15 percent in a month) as illustrated by the next chart. So the real question is what is going on with new build sales? More research on that questions is in the works. By region the picture was one of falling sales in most popular coastal areas, with the exception of the Balearics (+17%), Las Palmas in the Canaries (+5%), and Malaga, home to the Costa del Sol (unchanged). 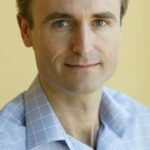 On an anecdotal level, some established agents on the most popular coasts report that, after a cracking first half of the year, demand appeared to cool going into the second half. What does this dip in summer sales mean? Has Spain’s incipient and fragile property market recovery already run out of steam, or is this just a bump in the road? As always it’s impossible to read too much into one or two months sales figures. Five months data of rising sales is easier to interpret than one month’s fall. If we now see three or four months of falling sales then we can call the spring / early summer improvement a false dawn. 2014 may yet turn out to be just another year of crisis, rather than the bottom of the market and start of the recovery. On the other hand, there are still some positive signs around, in particular rising mortgage lending in July up 17 per cent even as sales fell. 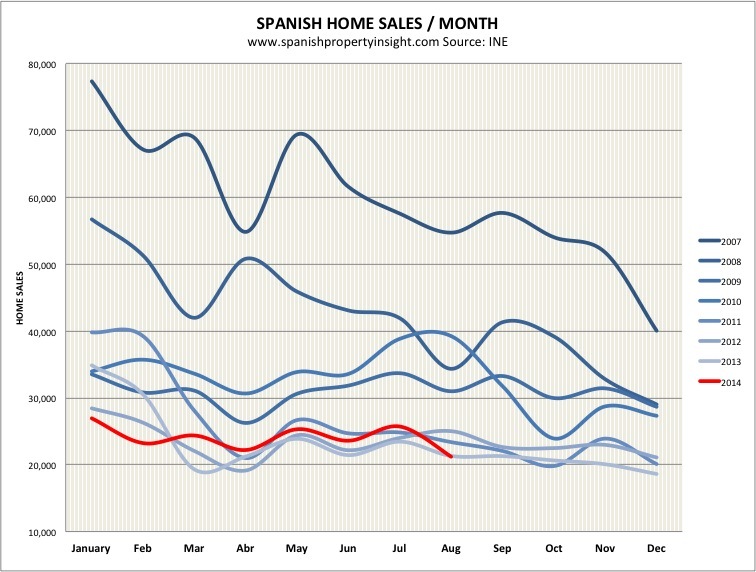 So, for the time being I’m sticking to my theory that the market has bottomed out in volume terms, and the trend from here will be steady or slightly rising sales, but that won’t be enough in the short-term to rescue the Spanish housing market from its deep slump. However, in most segments that interest our readers, namely popular coastal areas and prime city centres, the recovery is already underway and here to stay, according to reports from local estate agents and other property professionals. Hi Mark. Please can you clarfy; These statistics are for completed sales? If so, given that it’s common for agreed sales to take around 6 weeks to complete and that it probably took another week or 2 to compile the figures, does this mean that sales agreed in June fell? It is always advisable to be wary of newspaper hype. , my answer to that is *ollocks. With 3,5million properties available, how can that be? for non latin scholars, “Let the buyer beware”. Think, think, talk to people in the area, rent for one year. I gave this advice to some friends who liked a house it looked a good deal. they rented it with the understanding that they might buy it after a year. Thank God, they did it this way, the house was a villa from hell. Ten drops of rain and the downstairs part was unlivable, the electrics were dangerous. I wouldn´t insult Gerry by saying it was Gerrybuilt it was ten times worse. In general building standards in Spain are very poor, there is usually no insulation, and winters can be cold here. Agents will tell you renting is money wasted, ok it is but it is a price worth paying. My friends from above paid about 15,000euros in rent for the year, had they bought it they would have paid about 50,000 euros in commissions,taxes etc and have a house they do not want, like a millstone round their necks. I say it again treat the hype with a pinch of salt, pepper. The media speaks with forked tongue and most agents with forked tongues x10. Then I won´t go into the so called legal profession. CAVEAT EMPTOR. Let the buyer beware- Or as the Spanish say, Ten cuidado . Be careful. Peter George makes some good points. But. The reality is better summed up by the phrase, “Fortune favours the brave” and caveat emptor has and always will be a reality of any asset purchase be it a villa or a car. Now is a good time to buy in Spain from the point of view of asset values. Can prices go lower? Of course. Can they go higher? Maybe slower than some people want, but property tends to move from low prices to higher prices much faster than people expect. Those who are purely driven by the bottom line; REIT’s and investment funds have been buying on the basis of value. They know that waiting for the bottom to buy or the top to sell is a mugs game. They rely on the adage, the buyer gets some, the seller gets some and the greedy get none.